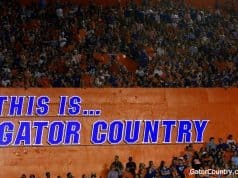 Saturday started off looking grim for the Florida Gators and boo birds came out in the first quarter. Florida was winning 6-0 but Feleipe Franks was 0-6 with an interception, Florida has 27 total yards and 20 yards in penalties. There was, however, no point in which Dan Mullen wavered in his starting quarterback. During fall camp, before the quarterback battle had ended, Mullen said he would make a decision at quarterback and that would be his guy. He has a long history with quarterbacks and he’s patient but this had to be testing his patience. Franks’ last five quarters of football he was 17-44 (39%) with two touchdowns and two interceptions. Mullen’s patience was rewarded Saturday. Franks completed eight of his next nine passes for 119 yards and two scores. 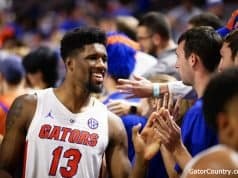 He didn’t need to do much today, Florida’s special teams blocked two punts, returned one for a touchdown and the defense recovered three fumbles. Mullen felt the same but it was impossible to not hear the boos early on Saturday. Franks has also taken a lot of` heat from the fans and the media. He hasn’t always handled it well. It’s hard to in this age of social media. 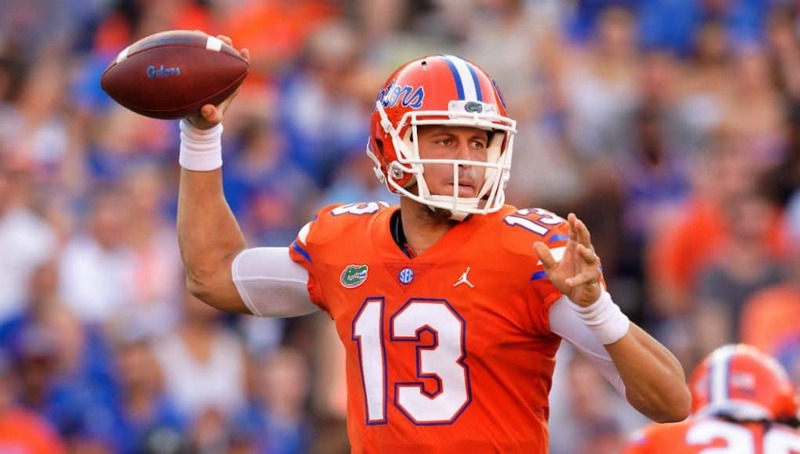 When you’re the quarterback of a team like Florida, with a fan base as big as and as passionate as Gator fans are there will be a segment of fans that get on him. He’s responded in the past and gone back and forth. Mullen, speaking about himself and his sideline demeanor, said throughout his career he learned to control his behavior asking himself “does this action help me win?” He’s trying to teach that to his quarterback, to have him know the standard and block out the noise. Through the first three games Franks is completing just 53% (41-77) of his passes for 570 yards with nine touchdowns and two interceptions. The nine touchdowns have already matched his total from the 2017 season. Those aren’t great numbers. They’re barely good numbers. He’s improved in some areas but it’s not noticeable to fans, who have been asking for a change in quarterback for three games. 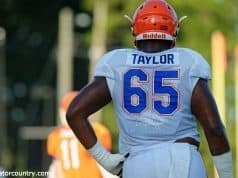 To Mullen it’s all part of being in the position Franks is in. He has said multiple times that he likes the progress Franks is making but there was one glaring thing Saturday. Franks got into it with linebacker Josh on the second play of the game and both were given unsportsmanlike penalties.